Organic oatmeal, and with individual sachets you can spoon up a hearty, healthy breakfast wherever you are. 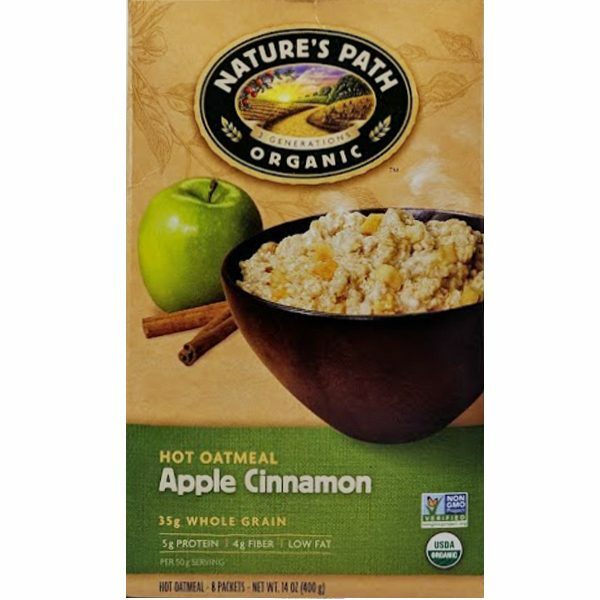 INGREDIENTS: ORGANIC WHOLE GRAIN ROLLED OATS, ORGANIC CANE SUGAR, ORGANIC DRIED APPLE, ORGANIC CINNAMON, SEA SALT, ORGANIC NATURAL APPLE AVOR. PRODUCED IN A FACILITY THAT USES MILK, TREE NUTS, PEANUTS, WHEAT AND SOY. 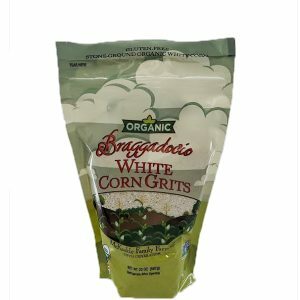 Serving Size: 1 packet (50g) Servings Per Container: 8 Amount Per Serving (% Daily Value*) Calories: 210 Total Fat: 2.5g (3%) Saturated Fat: 0g (0%) Trans Fat: 0g Cholesterol: 0mg (0%) Sodium: 100mg (4%) Total Carbohydrate: 40g (15%) Dietary Fiber: 4g (14%) Sugars: 14g Includes 13g Added Sugars (26%) Protein: 5g Vitamin D: 0mcg (0%) Calcium: 0mg (0%) Iron: 2mg (10%) Potassium: 158mg (4%) *Percent Daily Values are based on a 2,000 calorie diet.